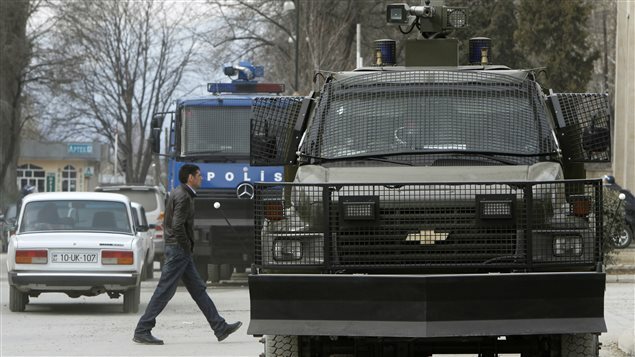 A deal by a Canadian company to export armoured personnel carriers to Azerbaijan and set up a joint production of these military-style vehicles in the oil-rich former Soviet republic is once again raising questions about the efficacy of Canada’s defence export controls. Toronto-based INKAS Armored Vehicle Manufacturing has signed a deal with Azerbaijan’s interior ministry under which the company has already delivered “a few” Canadian-made armoured personnel carriers (APCs). Shimonov says the company has fully complied with all the government rules for the export of military goods. “We cannot sell anything without getting a written permit from export control and once we get it, we know that our authorities, our Canadian authorities, have checked and they have approved,” Shimonov said. “Regional peace and stability, including civil conflict and human rights, as well as the possibility of unauthorized transfer or diversion of the exported goods and technology, are actively considered,” said Global Affairs spokesperson Natasha Nystrom. And yet the federal government granted INKAS permits for the export of APCs despite ongoing concerns over Azerbaijan’s poor human rights record. 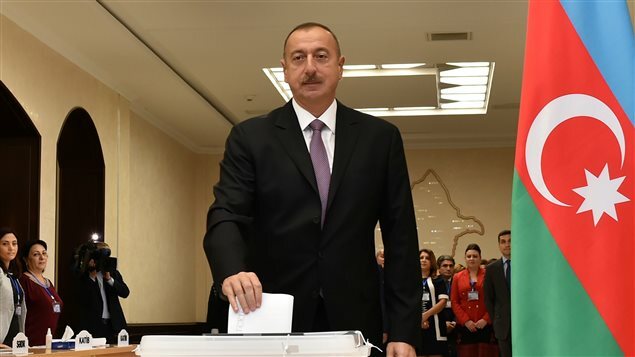 In April 2016, tensions between Azerbaijan and Armenia once again erupted into an intense four-day war in contravention of a ceasefire signed in 1994. 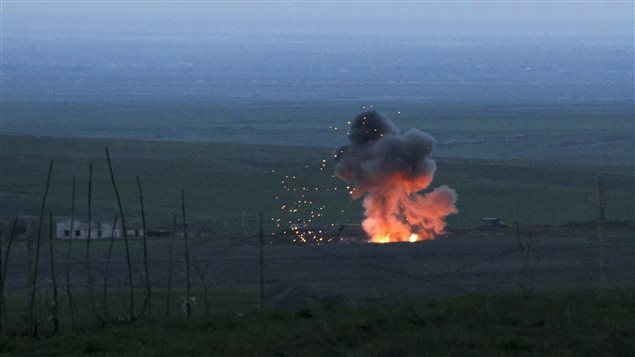 The Azerbaijani military launched a surprise offensive against Armenian forces that control the breakaway Armenian-populated region of Nagorno-Karabakh and surrounding areas. 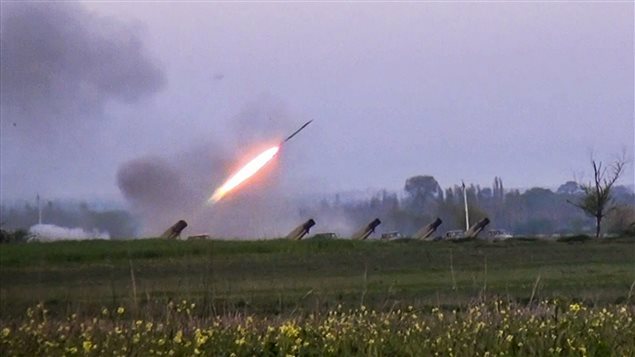 In addition, there are almost daily reports of clashes, sniper fire, artillery exchanges and commando raids along the entire line of contact between Armenian and Azerbaijani forces in the disputed region. According to data collected by the Stockholm International Peace Research Institute (SIPRI) over the last two decades, Azerbaijan has spent over $30 billion of its oil wealth to rearm and retrain its military, purchasing high-tech weapons and munitions from Russia, Israel, Turkey, Ukraine and Pakistan. “They feel that part of their land is taken and they want to be competitive in terms of capabilities, and that’s why they’re looking to protect their soldiers and they’re looking for the best product, and when it comes to the best product in our industry, we definitely can offer a lot of solutions, very cost-effective solutions,” Shimonov said. And yet at the same time, Shimonov claims INKAS doesn’t produce military vehicles. However, that’s not what the company claims in its sales pitch on its own website. 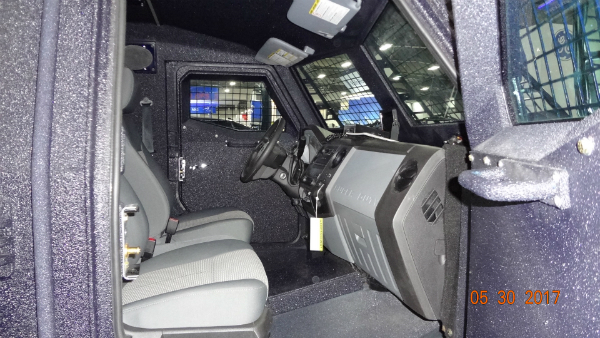 “The INKAS Sentry APC is designed to be used by military forces, SWAT, and other law enforcement agencies all over the world,” reads the vehicle overview of its Sentry model APC. “The INKAS Huron APC is a multipurpose tactical vehicle, which is able to protect its passengers in high threat environments within almost any climate condition. The vehicle is designed and equipped to operate in police and military tactical missions, convoy protection and border control all over the world,” reads the overview of its Huron model. “AZCAN’s new ISR (intelligence, surveillance and reconnaissance) vehicle is armed with a Pitbull light remote weapon stations jointly designed by the Israel based companies IAI and General Robotics,” reads the description of the vehicle published in press release at the ADEX 2016 arms show in the Azerbaijani capital of Baku, where Shimonov presented the Sentry APC to President Ilham Aliyev. Cesar Jaramillo, executive director of the peace group Project Ploughshares, said the export permit issued to INKAS illustrates an ongoing problem with Canada’s arms exports control mechanism. The government needs to take a much closer look at the destination country’s general human rights record and the notion of risk and end use when it makes determinations on issuing export permits for military goods, Jaramillo said. “Even if it’s on case-by-case basis, I think the general knowledge about problems in a certain country should be again an indicator which cases should merit more scrutiny than others, and I think that countries like Saudi Arabia, Azerbaijan, perhaps, fall into that category of greater scrutiny,” Jaramillo said.